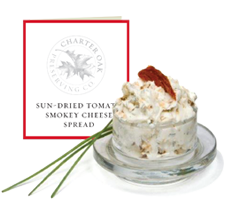 The naturally sweet concentrated flavor of sun dried tomatoes with a gentle hint of hickory smoke and herbs blend to make a delicious spread or roll into a cheese ball. Additionally, mix with butter for a special blend. Flavors one pound of cream cheese.